"Love Each Day" author event Saturday, August 22nd! Florey's Books invites you to meet El Granada-based author Gail Bernice Howard as she discusses her new book "Love Each Day". About the book: Are We Happy Yet? We are used to psychologists, psychiatrists, and other "experts" offering advice about how to be happy and how to live a fulfilling life. Even though the books by these experts can be helpful, sometimes the best way to learn about life is from true stories. 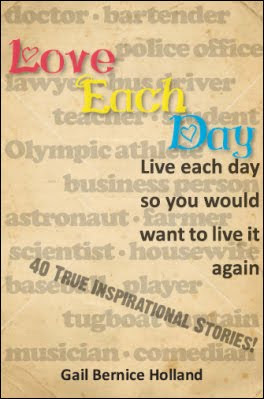 Although Love Each Day doesn't specifically tell people how to live a wonderful life, the authentic true stories nevertheless offer timeless lessons about enjoying life. The tapestry of true stories in our lives will always be invaluable. From these stories we not only learn how people from different walks of life live, but also what is important to these individuals. Ultimately, this book inspires readers to spend time treasuring what really matters. As a staff writer and interior designer for Home magazine in London, England, Holland furnished a four-bedroom house for the Ideal Home Exhibition visited by Princess Alexandra, a member of the British Royal Family. After immigrating to the United States, Holland was a feature writer for the San Francisco Examiner newspaper, editor of Connections magazine published by the Institute of Noetic Sciences, and a staff copywriter for the stores Joseph Magnin and Gump's, California. She has also worked in the movie industry and written radio commentaries. Look for an article in the Pacifica Tribune on the 19th as well! 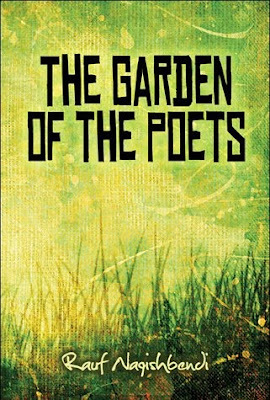 Florey's Books and the "Chit Chat Readers' Group" invite you to an evening with local author, Rauf Naquishbendi, for a discussion of his book, "The Garden of the Poets". The first part of the book celebrates the Kurdish culture, as lived by Rauf and his extended family in his Iraqi hometown of Halabja, which was once called the garden of the poets. At an all-too-young age, Rauf witnesses horrors of man's inhumanity against man as Halabja is caught in the middle of this war-torn area near the Iranian border during the Kurdish Revolution (starting in 1961) and continuing through the Iran-Iraq War (1980-1988). The book culminates in gripping first-hand accounts of the bombing of his village by Saddam Hussein's regime in 1988 using chemical weapons and nerve gas which killed more than 5,000 civilians within minutes. There is also Rauf's brave, and often humorous, adventure emigrating to New York City, and his heartbreak reading about the attack on Halabja after he had moved to the Bay Area. He did not know the fate of his parents and other family members until two years after the bombing. This is an important work; a story that needed to be told. At the time of the bombing attacks, the American government looked the other way, and even misdirected blame to Iran.